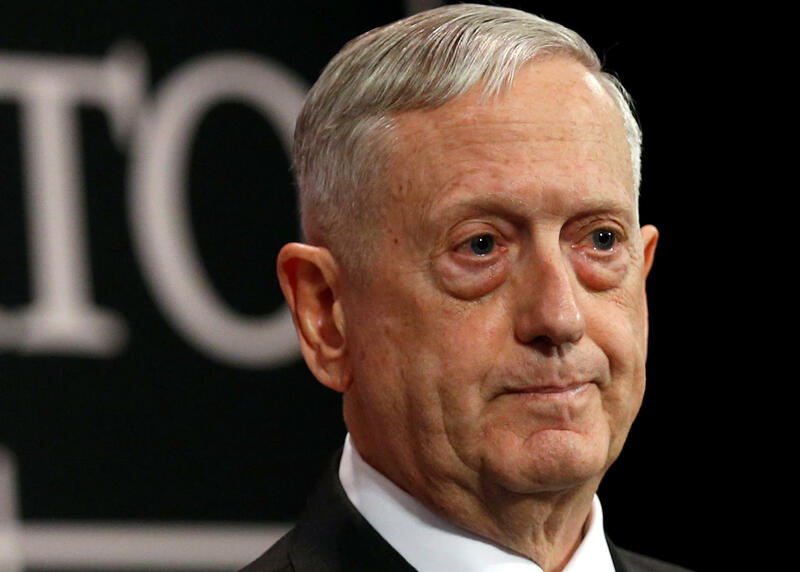 WASHINGTON -- Jim Mattis is not lonely in the Pentagon, but two months into his tenure as secretary of defense not a single political appointee has joined him. The retired Marine general, who took office just hours after President Donald Trump was sworn in, has sparred with the White House over choices for high-priority civilian positions that, while rarely visible to the public, are key to developing and implementing defense policy at home and abroad. When the Obama administration closed shop in January, only one of its top-tier Pentagon political appointees stayed in place - Robert Work, the deputy defense secretary. He agreed to remain until his successor is sworn in. So far no nominee for deputy has been announced, let alone confirmed by the Senate. The administration has announced four nominees for senior Pentagon civilian jobs, and two of those later withdrew. Trump’s nominee to lead the Army, Vincent Viola, withdrew in early February because of financial entanglements, and about three weeks later Philip B. Bilden, the Navy secretary nominee, withdrew for similar reasons. On Tuesday, the White House announced it intends to nominate John J. Sullivan to be the Pentagon’s chief lawyer. In January, Trump announced former congresswoman Heather Wilson of New Mexico as his nominee to be Air Force secretary, but he has not submitted the nomination to the Senate. “The process has definitely slowed,” said Dov Zakheim, who served as the Pentagon budget chief during the George W. Bush administration. He said he would be surprised if Mattis gets any senior appointees confirmed before mid-April. This is not an issue at the Pentagon alone. While most of Trump’s choices for Cabinet and Cabinet-level posts have won Senate confirmation, 500-plus government-wide sub-Cabinet level positions requiring Senate confirmation remain unfilled. There are few visible signs that the absence of Trump appointments in the Pentagon has affected its management of the counter-Islamic State campaign or military operations in Afghanistan. But the president has ordered a number of major policy reviews that require senior-level Pentagon attention, including counter-IS strategy, nuclear and missile defense plans and a blueprint for building up and improving the combat-readiness of the military. Pentagon insiders say the appointment process, while contentious at times, has not produced significantly more friction than previous transitions in which the White House changed political parties. Democrat Barack Obama had fewer issues at the Pentagon when he took office in January 2009 because he kept in place Bush’s defense chief, Robert Gates, and Obama’s transition team quickly settled on nominees for key senior defense policy jobs. When Bush made Donald H. Rumsfeld his defense chief in January 2001, Rumsfeld did not get his policy chief, Douglas Feith, in place until July. Rumsfeld, however, had an advantage that Mattis does not: some of his predecessor’s senior staff agreed to remain for months. By Rumsfeld’s count, it took the Bush White House 70 days on average to approve a recommended nominee, plus 52 more days for Senate confirmation. A Pentagon spokesman, Navy Capt. Jeff Davis, said Mattis is committed to getting the right people in key jobs. Walter Slocombe, who served as policy chief at the Pentagon during Bill Clinton’s presidency, said the appointments process is unavoidably sluggish because of extensive political and security vetting. “Having said that, it’s a very bad idea that it takes so long,” he said. Career civil servants can fill the void for a time, but their power is limited. “They’ll do enough to keep the engine turning over and be a big help in a crisis, but they’re not able to take the lead on policy formation,” he added. Mattis has said little publicly about the pace of getting a new team installed, but officials familiar with the process say he and the White House have been at loggerheads on some picks. The officials spoke on condition of anonymity to discuss internal deliberations. Mattis may be about to prevail in one important appointment - Anne W. Patterson, a career diplomat and former ambassador to Egypt and Pakistan who recently retired after serving as the State Department’s assistant secretary for near eastern affairs. Officials expect her to be announced soon as Trump’s nominee to serve as undersecretary of defense for policy, a position of broad responsibility for steering policy. Critics, including some Republicans, opposed her selection on grounds that as ambassador in Cairo she was too accommodating to former Egyptian President Mohamed Morsi and the Muslim Brotherhood. Among other key Pentagon offices still without a presidentially appointed leader: intelligence, budget chief, weapons buyer, technology chief and personnel policy. These and other top positions were vacated by Obama appointees at the end of his term or earlier last year; they are now run by holdover officials in what the Pentagon calls a “performing the duties” status, meaning they can do the work unless it involves a duty that by law can be performed only by a Senate-confirmed appointee.